London. 18 October 2016: The Wireline Network is at the heart of network transformation, said the VP of ZTE at Broadband World Forum today. Dr. Li Ming said there were three factors behind the successful evolution of the network – Ultrafast speeds, Elasticity to enable the network to adapt to different applications, and Smart systems for successful management. ZTE, a global leader in telecommunications and information technology, has supplied 600+ operators in more than 130 countries with Wireline technology. At the Forum, Dr. Ming explained how ZTE identified these three service and content drivers from five trends of the future under its “VOICE” acronym: Virtuality, Openness, Intelligence, Cloudification, and the Internet of Everything. “We are entering the most exciting and challenging time that the Wireline Network has ever faced, but the industry is determined and at ZTE we see these five trends as being vital and complementing each other as we transition towards a network that is IoT and 5G capable,” he said. 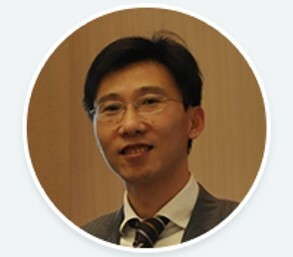 These overlapping trends, said Dr. Li, meant that the key elements for Ultrafast were high bandwidth, high levels of integration, low energy consumption and low latency; for Elasticity was the restructure of the network and the ability to adapt, while for Smart he saw efficient O&M services, multi-layer self-control and big data analysis as being vital. Dr. Li continued to support ZTE’s idea that Smart systems are highly cost efficient in this cloud era, announcing that they have found a 25% operational cost saving with the Wireline Network, along with a 29% revenue growth, due to the predictive modelling of the system. “In a world in which network demands are constantly changing, networks need to support all services, upgrade, be smarter, and also adapt to different applications. ZTE’s solutions are the Wireline “VOICE” of the future,” concluded Dr. Li.